Odoo views are dynamically created from XML codes. Data of Odoo are stored as objects and XML description is used to expose these objects to the user interface. 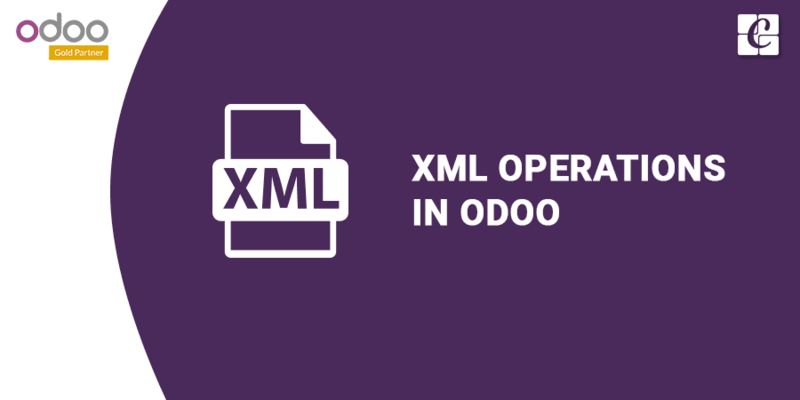 Here I would like to share some of the cool features you can use while working with Odoo XML. Many people use a separate parser for XML reports just to get a value from another model. But we can call any model from XML itself using flowing code. A python parsel file for an XML is only required when we need complex calculation for the reports. Any column in user table can be obtained by just using ‘user.column(field_name)’ from XML files. For example, ‘user.name’ will give you the name of the user, ‘user.groups_id’ will give all the current users in the group. Widgets can be used to make Odoo interface more user-friendly. We can change the appearance of a field without making changes in database columns. progressbar : widget=”progressbar” will create a progress bar for float or Integer fields. float_time : widget=”float_time” is used to convert float field into time format, That is, 1.00 will be converted to 01:00.
url : widget=”url” create http link for the field. email: widget=”email” will create a link to send the email. Monetary: widget=”monetary” can be used with float field to show currency sign after the field. t-esc takes an expression, evaluate it and prints the content. But in case of a ‘field’ in a model it is better to use t-field. Note: t-field can only be used when performing field access (a.b). It is able to automatically format based on the field type.